The aim of orienteering is to navigate in sequence around a course of control points in a natural setting. The control points are marked on an orienteering map. You can run, jog or walk. 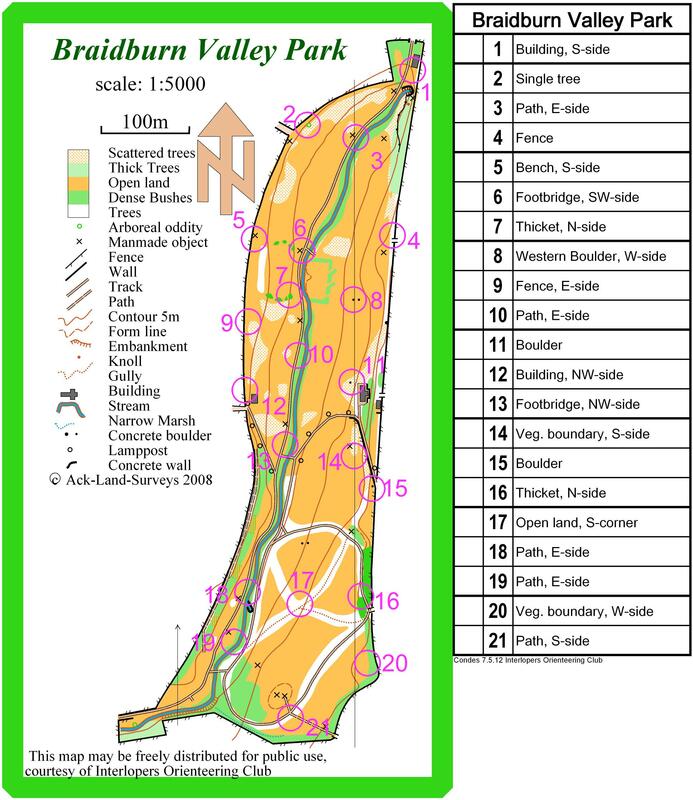 The challenge is to use the map to decide the best route to complete the course in the quickest time. 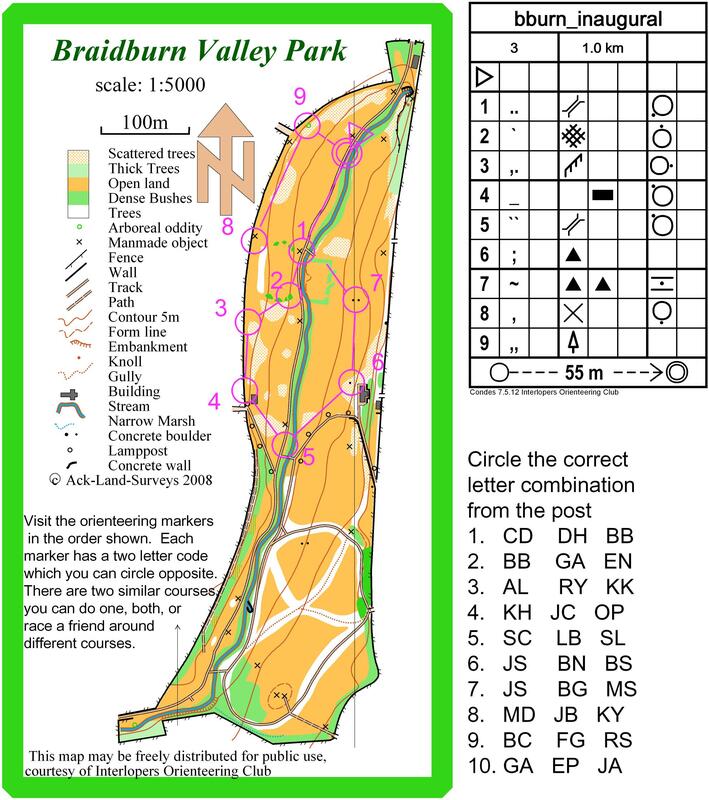 In April 2008, a permanent orienteering course with 21 control points were installed in Braidburn Valley Park. 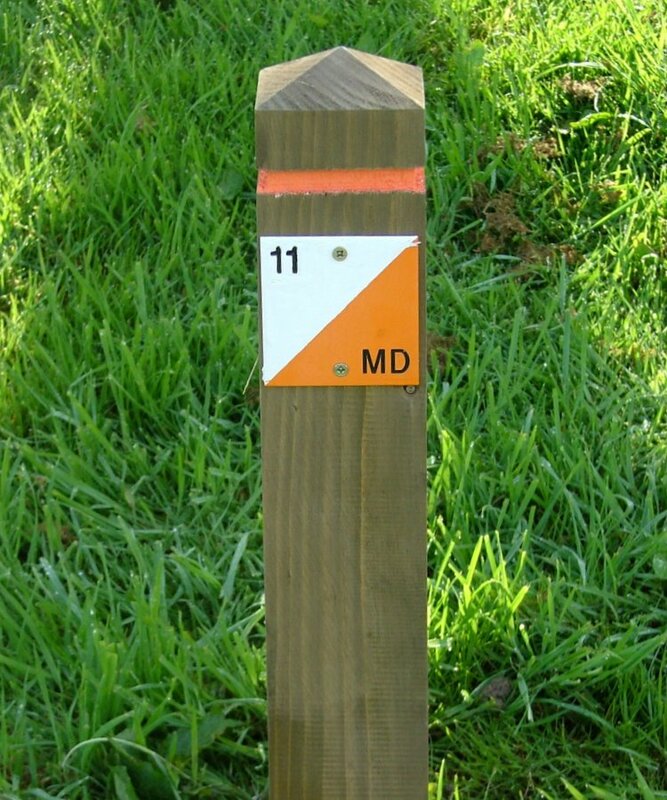 The orange and white control point plaques will be mounted on low wooden posts. The start of the course is near the main entrance to the Park at Greenbank Crescent. The course is over relatively unchallenging terrain so is straightforward and a good place to have your first go at orienteering. The control points have a number at the top left-hand side and two initials at the bottom right. Click on the downloadable maps below and use these as the basis for setting a route for your school, group, family or yourself. You can jumble up the numbers to set any route that you like. 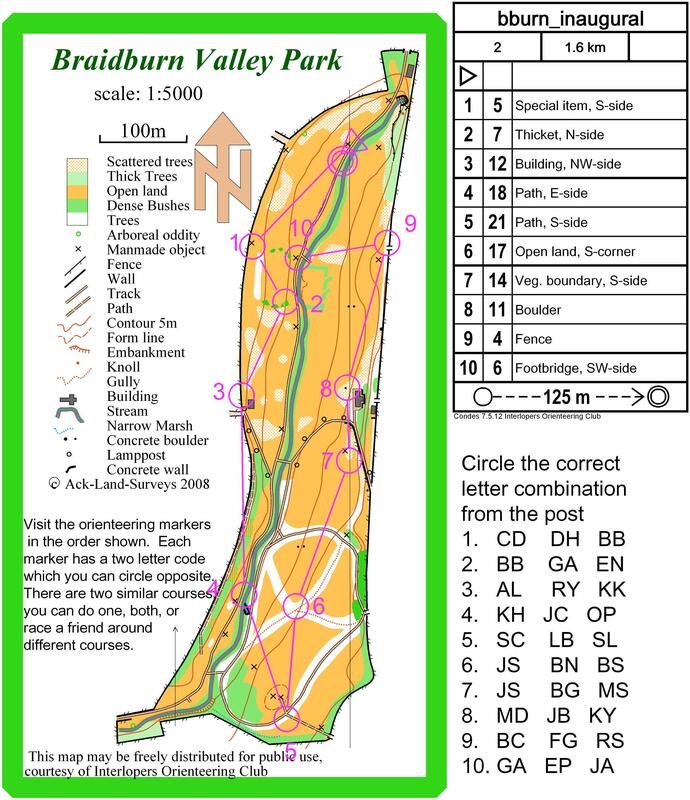 As everyone runs round, they should use the side of the map to write down the sequence of initials against each number to make sure that everyone follows the route in the right order and there is no cheating! If you are interested in finding out more about orienteering in Edinburgh there are two local clubs – the Edinburgh Southern Orienteering Club and Interlopers. There are a number of high quality maps available to download here. Click any thumbnail for the full sized image.